"Social networking" has been around forever. It's the simple act of expanding the number of people you know by meeting your friends' friends, their friends' friends and so on. In fact, many of us today use Twitter and Facebook to promote our existing and upcoming businesses. 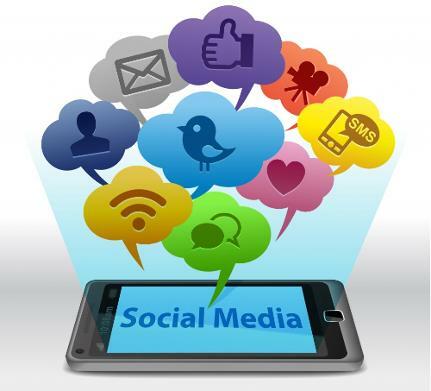 And people looking to connect with other business-associated contacts usually move to sites like LinkedIn, but one need to understand that social media is beyond Twitter, Facebook, LinkedIn and Blogs. After observing and running an analysis on hundreds of Social Networking sites I have listed down 40 most popular social networks across countries. Browse and join networks, which are organised into four categories: regions, colleges, workplaces and high schools. Pull contacts from a Web-based email account, into Facebook.com. Find friends in several ways, including search engine to look for a specific person and lot more. Facebook has recently crossed 500 million users and is the most popular Social Networking site of the world. 02. MySpace: On MySpace, your social network starts growing from the first day. When you join MySpace, the first step is to create a profile. You then, invite friends to join there and search for your friends on already profiled on MySpace these friends become your initial Friend Space. Once the friendship is confirmed all the people in your friends' Friend Space become part of your network. In that sense, everyone on MySpace is in your Extended Network. As part of terms of MySpace, the user must be at least 14 years old to register. 03. Twitter: Twitter is a very simple service that is rapidly becoming one of the most talked-about social networking service providers. When you have a Twitter account, you can use the service to post and receive messages to a network of contacts, as opposed to send bulk email messages. You can build your network of contacts, and invite others to receive your Tweets, and can follow other members' posts. Twitter makes it easy to opt into or out of networks. Additionally, you can choose to stop following a specific person’s feed. 04. LinkedIn: LinkedIn is an online social network for business professionals, which is designed specifically for professional networking, to help them find a job, discover sales leads, connect with potential business partners. Unlike most of the other social networks, LinkedIn does not focus on making friends or sharing media like photos, videos and music. To start using LinkedIn you need to register and create a profile page. To register to LinkedIn, you need to provide personal information. You can update the profile with your education and job details and a summary. Additionally, you can also give and receive recommendations from co-workers and bosses. There are more than 75 million professionals registered on LinkedIn. 05. Bebo: In the United Kingdom, Bebo is the second best social network. Bebo allows users to create social networking profiles for free. It offers many of the same features as other social networking sites. You can register a free account with Bebo and upload photos, videos and information. The site lets you connect with old friends and make new ones using a unique user interface. The site boasts users from more than a dozen countries, including the United States, Australia, Canada, Poland, France and Germany. 06. Friendster: Friendster was one of the first Web sites to bring it into mass culture. It was designed as a place to connect with friends, family, colleagues and new friends over the Internet. However, it went beyond just a one-way communication. Using Friendster, you can connect with friends and family, meet new people through the connections you already have, find people with similar interests, backgrounds or geographical locations, join groups by activity, school or interest, interact through message posts, games, blogs and application sharing, and share your details with the Internet community. 07. Hi5: Hi5 shares many similarities with many social network sites; however, it introduces some twists that make it worthwhile for people who love trying out new and interesting online communities. However, it is not one of the popular sites in the United States. This was a strategic move from the founder, therefore, Hi5 claims around 60 million members from more than 200 countries other than the US. One of the site's biggest transformations is the addition of many entertainment options, including games. 08. Habbo: The Habbo online community is inhabited by pixelated, cartoon-character alter egos. You can meet others in public rooms (nightclubs, restaurants, shops) and create private rooms for selected friends. Habbo employees heavily moderate the site, catering to its solid teen user base. Most of the users of Habbo are between the age group of 13 – 18 years. Although, a major part of the users are from the U.S., Habbo social networks is very popular in places like the United Kingdom, Japan, Sweden, Spain, Italy, Finland and more. 09. NING: Ning is the leading online platform for the world's organisers, activists and influences to create social experiences that inspire action. It helps you create a safe and secure place online for like-minded people. Ning takes the idea of groups to a whole new level. The ability to create your own community makes Ning a great home away from home for organisations and groups looking to fill the social void. 10. Classmates: Classmates.com is different from most social networks, in the sense that most of its features are available to premium member. The price for premium members depends on the length of the agreement – shorter term results in a higher cost per month. Classmates.com is primarily used to reconnect with old classmates. The site features a search engine that lets you view other people who went to the same school you attended. Creating a basic Classmates.com profile is free and easy. However, most of the advanced features in Classmates.com are only available to paid users. 11. Tagged: Tagged is a blend of social networking features that MySpace and Facebook users will find very familiar. Tagged was designed to help users meet lots of new people with similar interests in a short amount of time. You can access and register directly or be invited by a friend to join Tagged. This is a free social network that allows you to view your friends’ newly uploaded Tagged photo album. Tagged encourages its users to meet strangers based on shared interests, with the idea of growing your network to meet as many people as possible. 12. myYearbook: myYearbook, the best place to meet new people and one of the 25 most-trafficked sites in the United States. myYearbook has Flash-based games, and the games incorporate Lunch Money (the myYearbook virtual currency). It includes a virtual economy through which people can purchase of gifts which members send to each other. Lunch Money is also donated by members to their favourite charity. In 2010, myYearbook donated money to the Haiti Relief Fund to help victims of the earthquake in Haiti. 13. Meetup: Meetup is an online social networking portal that facilitates offline group meetings in various localities around the world. It makes it easy for anyone to organise a local group or find one of the thousands already meeting up face-to-face. More than 2,000 groups get together in local communities each day, each one with the goal of improving themselves or their communities. 14. MyLife: MyLife (formerly Reunion.com) is a social network service. MyLife can search over 60 social-networking sites and other information resources on the Web. MyLife searches the web to deliver accurate and timely results. Even in cases when you don't immediately find who you're looking for, MyLife continues searching and provides updates and alerts. MyLife suggests friends and contacts you may know based on your profile information and existing contacts. It also intimates you when someone else is looking for you. MyLife gives you a global view into the most popular sites your friends are part of, including LinkedIn, Facebook and MySpace as well as 50 other sites. 15. Flixster: Flixster is a social networking site for movie fans. Users can create their own profiles, invite friends, rate movies and actors, and post movie reviews as well. From the site, people can also get information about movies, read user-generated movie reviews and ratings, converse with other users, get movie show times, view popular celebrity photos, read the latest movie news, and view video clips from popular movies and TV shows. Flixster.com also operates leading movie applications on Facebook, MySpace, iPhone, Android, and BlackBerry. 16. myHeritage: MyHeritage is a family-oriented social network service and genealogy website. It allows members to create their own family websites, share pictures and videos, organise family events, create family trees, and search for ancestors. There are more than 15 million family trees and 91 million photos on the site, and the site is accessible in over 35 languages. 17. Multiply: Is now closed Multiply was a vibrant social shopping destination, but faster and more convenient, where sellers and buyers interact. A user's network is made up of their direct contacts, as well as others who are closely connected to them through their first-degree relationships. Users are also encouraged to specify the nature of their relationship with one another, making it possible to share content based on relationship. Many shoppers in the Philippines, Indonesia, Malaysia, Singapore, Thailand and Vietnam have made the Multiply Marketplace a favourite shopping destination. 18. Orkut: Orkut is a free social networking website where you can create a profile, connect with friends, maintain an online scrapbook and use site features and applications to share your interests and meet others. The prerequisite for logging on to Orkut is that the user must be over 18 years old. Currently, Orkut is the most popular in Brazil. The number of orkut users in India is almost equivalent to those in its original home in the United States. 19. Badoo: Badoo is a multi-lingual social networking website. It is gaining popularity in emerging markets like Russia and Brazil. The site allows users to create profiles, send each other messages, and rate each other’s profile pictures at no cost. However, features that are designed to make user profile more visible to other users are provided at a cost. Badoo includes geographic proximity feature that identifies users’ locations based on analysis of their network connection. This lets users know if there are people near their current location who may wish to meet. 20. Gaia Online: Gaia Online is a mix of social networking and massive multiplayer online role-playing games. It is a leading online hangout for teens and young adults, and offers a wide range of features from discussion forums and virtual towns to fully customizable profiles and avatars. It provides a fun, social environment that inspires creativity and helps people make meaningful connections around shared interests such as gaming, arts and anime. 21. BlackPlanet: Initially, BlackPlanet was designed as a way for African-American professionals to network. Since then, it's grown and evolved as a site operating under the principles of Web 2.0. Members can read other members' blogs, watch music videos, chat with one another, look for new careers and discuss news. Though BlackPlanet is not restricted to any community, this site is more popular amongst African-American. This site helped Obama to connect to nearly 200,000 potential supporters. 22. SkyRock: SkyRock.com is a social networking site that offers its members free web space where they can create a blog, add a profile, and exchange messages with other registered members. The site also offers a specific space for members who create blogs showcasing their original musical compositions. SkyRock is very popular in France and French speaking markets including Switzerland and Belgium. The site is also available in English, German, Dutch and Spanish. It’s very popular in the European Union. 23. PerfSpot: PerfSpot provides a web portal for people of any age, gender, or background to share their interests and favourite things on the web. PerfSpot currently publishes its site in 37 different languages, with comprehensive moderator team based in the U.S. and the Philippines that screens through up to a million pictures on a daily basis. 24. Zorpia: Zorpia.com is a social network that has a large international community. Zorpia’s features include profile customisation, networking features and an incredibly detailed search. Zorpia has an impressive music section featuring popular artists like Ashlee Simpson, Vanessa Hudgens, Alanis Morissette and more. You can purchase a Royal Membership for extra networking options such as an ad–free profile, extra profile design features and unlimited messaging. 25. Netlog: Netlog (formerly known as Facebox and Bingbox) is a Belgian social networking website specifically targeted at the European youth demographic. On Netlog, you can create your own web page with a blog, pictures, videos, events and much more to share with your friends. Netlog is pageview market leader in Belgium, Italy, Austria, Switzerland, Romania and Turkey. In the Netherlands, Germany, France and Portugal, Netlog covers the second place. Pan European, Netlog is the market leader. Netlog is localized in over 25 languages, to enable users from around the world to access the network. 26. Tuenti: Tuenti is an invitation-only private social networking website. It has been referred to as the "Spanish Facebook”, by many social network watchers. It is one of the largest social networking sites in Spain. It allows you to set up a profile, upload photos, link videos and connect and chat with friends. Many other utilities, such as the ability to create events, are also offered. From 2009, utilizing a simple interface, Tuenti user can change their language to Catalán, Basque, Galician, and English. Tuenti is also available as an iPhone App. 27. Nasza-Klasa.pl: nasza-klasapl is considered one of the largest and most used social networking sites in Poland. It primarily brings together school's students and alumni. The site is in polish therefore restricting its popularity only to Poland and polish speaking people. Nevertheless, it claims to be the most popular networking site in Poland, and therefore, has found its niche in the competitive social networking space. The site where one might say, new meets old, where the intractability is like Facebook, yet traditional with old styled forums. 28. IRC-Galleria: IRC Gallery has been one of the most popular social networking sites for over 10 years, in Finland; with over 5.5 lakh registered users, 90% of which use the site regularly. IRC-Galleria is popular within the age group of 18-22. To be able to create an account with this site, at least one of the uploaded images must be accepted by the administrator. While regular users can upload only up to 60 visible images, you have the option to upgrade to VIP status that enables you to upload 10,000 visible images. Using this site, users can communicate with other users, comments on photos, and join over a 100 communities. 29. StudiVZ: StudiVZ is the biggest social networking site in Germany. It is also popular in German-speaking countries like Switzerland and Austria. This site works as a student directory in particular for college and university students in Europe. The site allows students to maintain a personal page that containing their personal information like name, age, study subjects, interests, courses and group memberships (within StudiVZ). 30. Xing: Xing, (formally known as openBC/Open Business Club) is a professional networking tool. It is popular in countries like Germany, Spain, Portugal, Italy and France. Xing is similar to LinkedIn and claims to have professionals from over 200 countries. Xing has two features Basic and Premium, depending on weather the user wants to use the site for free or at a cost. It is available in different languages including English, German, Spanish, Portuguese, Italian, French, Dutch, Chinese, Finnish, Swedish, Korean, Japanese, Russian, Polish, Turkish and Hungarian; French and German being the most popularly. 31. Renren: Renren (formerly called Xiaonei Network) is one of the largest social networking sites in China, and caters to people of Chinese origin. It is very popular amongst college students. Renren also has a WAP version, which users can access through mobile phones. It features an instant messaging service for its users. Users can use the same username to log in both Renren and Kaixin. Renren appeals more to Chinese college students who use internet cafes, while Kaixin001 targets Chinese white-collar workers who have internet access at work. 32. Kaixin001: Kaixin001 is a popular professional networking tool in China. The target audience for Kaixin’s, are typically white-collar middle class who come from a first tier city. This site in China is extremely popular among people who work for multinational companies, ad agencies and other white collar companies. Kaixin001 has gained much more popularity since 2009, because social networking sites, such as Myspace, Facebook, Twitter and Youtube were blocked in China. 33. Hyves.nl: Hyves, pronounced hives (from beehives) is the largest social network in Netherlands, with many Dutch visitors and members. Hyves Payments and Hyves Games, allows you to play games and pay friends through the social network. Hyves provides usual amenities of a social networking site, including profiles, blogs, photos, and so on. ‘Hyven’ (Hyving) became a common word in Dutch, and is gaining popularity across Europe. 34. Millat Facebook MillatFacebook is a Muslim-oriented social networking website. Originally launched in Pakistan, it has gained popularity in Arab counties as well. This site came into existence after Facebook was banned in Pakisthan. Millatfacebook offers video chat, bulletins, blogs, polls, shout box, and customisation of profile page. Members can change the page CSS and design it on their own will. 35. Ibibo: Ibibo stands for iBuild, iBond. It is an Indian social networking site. It is an umbrella site that offers a variety of applications under its social network. The services offered include games, blogs, photo unlimited storage, mail, messenger, videos, free SMS service, mail, polls and surveys. 36. Sonico: Sonico is a free-access social networking website focused on the Latin American audience. You can do a to rage of things in this site including search and add friends, interact with friends over message, update their own personal profile, manage their privacy, upload photos and videos, organize events, be able to play games with other users. Sonico, more importantly, let’s its members more control over their profile by giving them three distinct profiles that the user can organize based on the need: a private profile, a public profile, and a professional profile. This site is popular in Latin America and other Spanish and Portuguese Speaking Regions. 37. Wer-kennt-wen: Wer-kennt-wen, is one of the most popular social networking website in Germany. It is by an invitation-only social networking website, and only for people over 14 years old. The site provides the user to write blogs, chat with friends, and write in their guest book. It provides users a social community for people, to interact with anybody they want. 38. Cyworld: Cyworld is a South Korean social network service. It has had a big effect on Korea’s Internet culture. Many renowned Korean socialites and celebrities have accounts where they post upcoming tours and works. Cyword has networks in South Korea, China, and Vietnam and is gaining popularity across Asia and the Pacific Island. Users have access to a profile page, photos, drawings and images uploading, an avatar, neighbourhoods, and clubs. 39. Mixi: Mixi is primarily for Japanese. Mixi offers options to meeting new people, send and receive messages, writing in a diary, read and comment on others' diaries, organize and join communities and invite their friends. The site requires users to own a Japanese cell phone which bars anyone who is not or has not been a resident of Japan. 40. iWiW: iWiW (abbreviation for International Who is Who) is a Hungarian social networking web service. The site is an invite-only website, where a user can provide personal information. Users can search for friends using the search tool. iWiW allows users to log in to external websites using their iWiW credentials. iWiW is also available for iPhone and Android.